After experiencing my first snow fall, it was time to play some ice games and curling it was to start with. It is an interesting game one can play if they want their hands and legs broken. Still went ahead to try it out, after all its once in a lifetime opportunity one gets to play such a game. The game was real simple, there are 2 circles on both ends of the court. 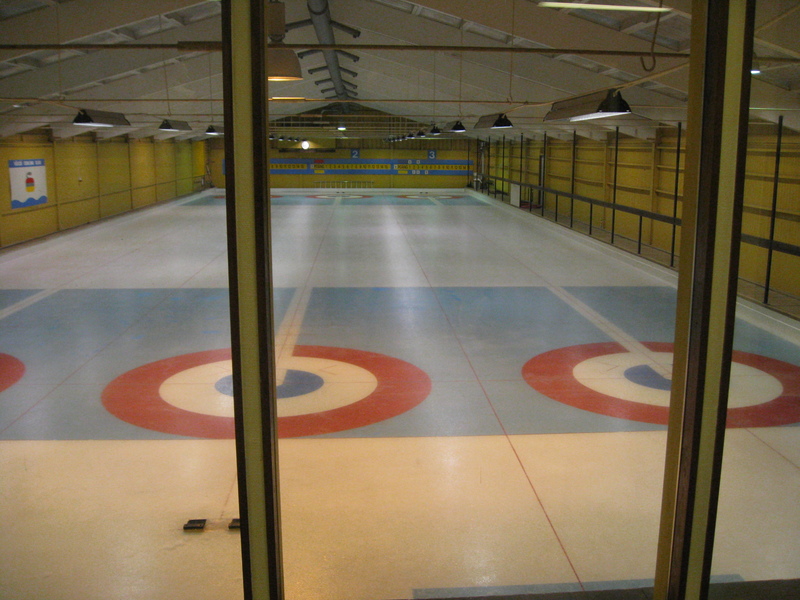 One has to stand at circle one and throw the curling stone(rock) to the other circle on the other end. Some what like bowling and skating mixed together, but its on ice !!. Two teams play and the team who has more rocks in the other circle wins. 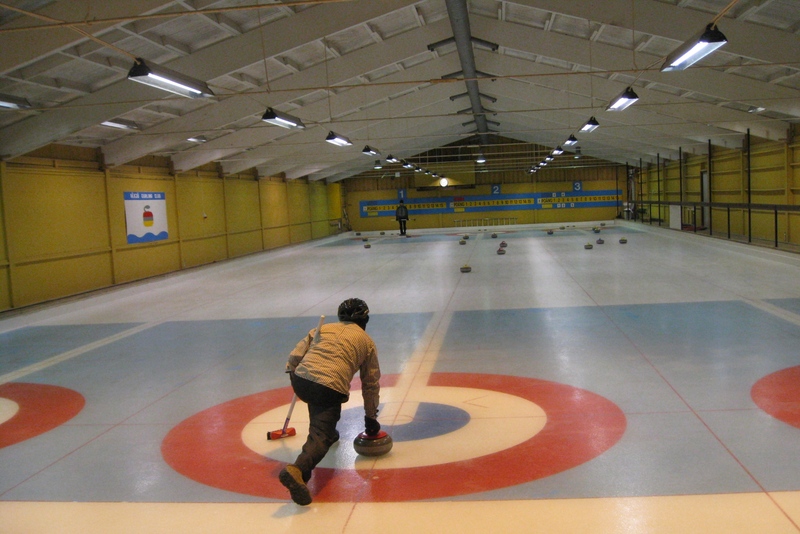 Each one is given a broom, yeah you read it right a broom to sweep the ice while the rock is sliding to the other end.The concept is when you sweep the ice in front of the rock, the ice melts and the rock slides faster. And the broom also helps in balancing when you are on the ice. We had 2 hours and the whole team. 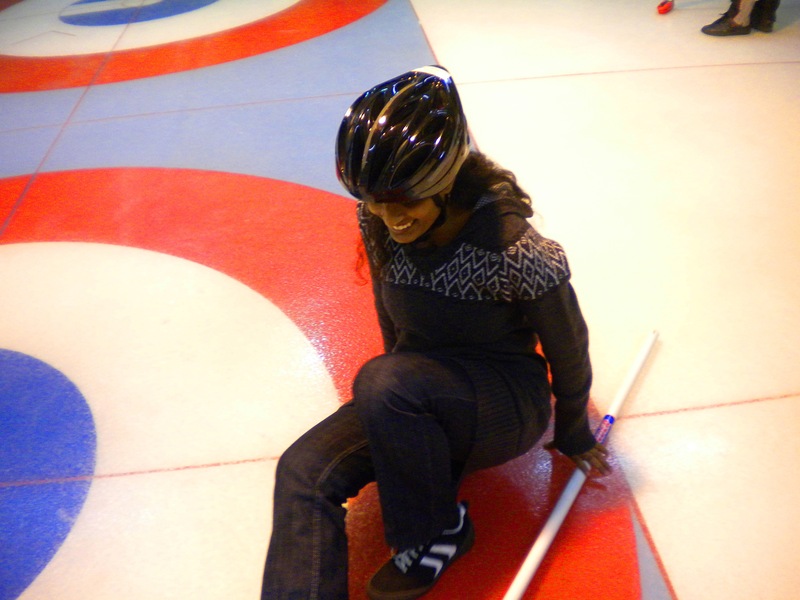 It was the first time I was stepping onto ice and somehow after a few falls I leant to skate on the ice real fast. It was easy and fun. Once we were able to stand on our 2 legs and move forward on ice, we were shown the rock which we were to glide it to the other end. It was a 19 kg rock!! Phew I know . Luckly we just need to push it on ice and then based on the initial push it glides across the ice. After an hour of practise, the teams were divided. My team was a team of 4 . 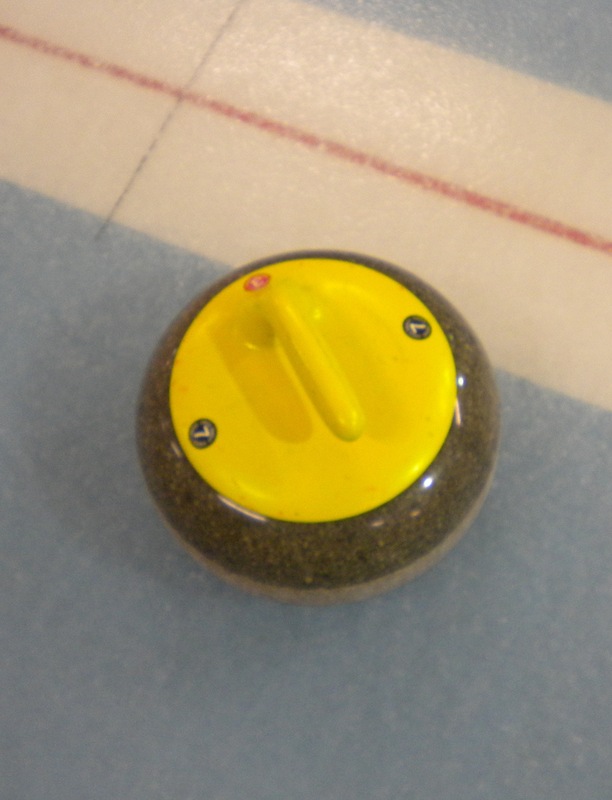 Each round, one takes up the skippers place who’s job is to stand at the opposite end and tell the player on the other end where to aim the rock, using his broom as the pointer .One player rolls the rock. 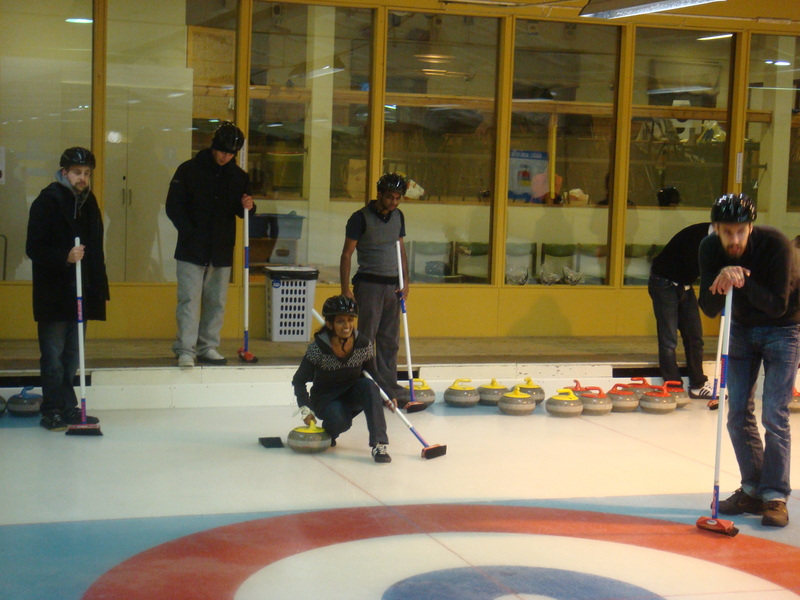 The rest of the 2 players move along with the rock to sweep the ice to make the rock glide faster. We had 3 rounds and my team won .Yipee. Overall it was a great experience. Than throwing the rock and the game, what i liked the most is skating on the ice . And the best part is, I was still standing on my 2 feet and my 2 hands were functional, after the game inspite of me falling down hazzar baar. I played it once in the US and absolutely loved it, a lot more than bowling actually, that we used to do every weekend. Glad you had fun. Awesome.. after reading this blog i want to try my hands on this game too.. Way to go!